Complete ERP system for your Business! Customised application that allows businesses to integrate and streamline complex business Operations. Zeki ERP is our integrated application used to manage all the key aspects of a business like inventory, finance, hrms, sales, manufacturing & CRM. Our Sales module help you in handeling sales queries, Sending Quotation, Accepting Sales Orders, Creating Invoice, Dispatch & Shipment and tracking pending sales order. Our Purchase module helps you maintain supplier / Vendor, Supplier - Item Linking, Sending RFQ, RFQ Comparision & Analysis, and generating Purchase order. Our finance module gives you a clear and real time understanding of your finances. Maintain all account related transactions like Expense, Income, Account Payable, Accounts Receiveable, Cash Management and get detail balance sheet, profit & Loss and Trial balance. Our manufacturing module you can manage Production Planning, Machine Scheduling, Raw material utilization, BOM, track daily Production Progress and Forcasting and Quality Check. With our integrated inventory module Track, Predict and Re-Order the products to fulfill your business needs. Identifing inventory requirements, setting min stock quantity, monitoring item usage, reconcile inventory balances and much more across multiple warehouses. CRM lets you effectively track and manage prospect Clients, boost communication, organise and help throughout the entire Sales and Support life cycle. Our Cloud based application lets you access your ERP system from your any place with internet access. Want to Know More about ZEKI ERP ? Do you want to customize Zeki ERP to suit your business need or Do you need us to give you a personal Demo? 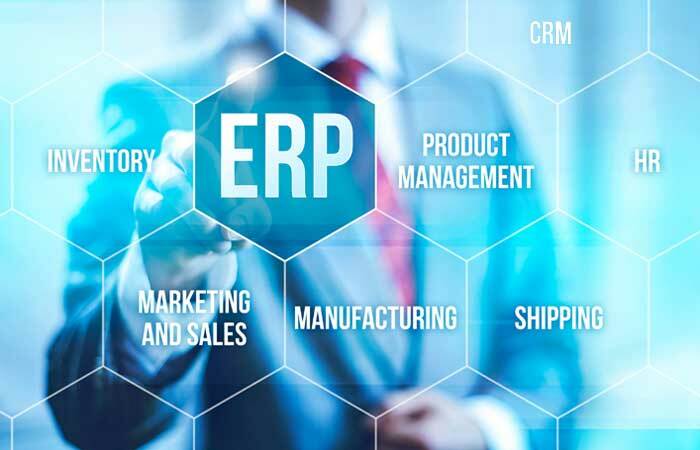 BPS - ERP is an integrated computer-based system used to manage internal and external resources including tangible assets, financial resources, materials, and human resources with modules like Sales, Purchase, Human Resource, CRM, Manufacturing, Inventory, Supply chain management & Accounting. It facilitate the flow of information between all business functions inside the boundaries of the organization and manage the connections to outside stakeholders. BPS - ERP helps you Increase Efficiency, Accuracy, Cost reduction, Productivity, Speed, performance, workflow synchronization, standardized information exchange, complete overview of the enterprise functioning, global decision optimization and much more. With ERP systems in place, you work around the world and across multiple operations. They help your business move into new markets as you maintain visibility into your overall operations and standardize your business processes. Zeki ERP is the one solution which is very effective in helping us manage all aspects of our business. The talented staff at Zeki have been very responsive both in providing support when required and also in receiving and implementing recommendations for improvements that would benefit our organisation. To implement Zeki ERP was one of the best decision for our business. To start it had all the modules and features that fit our business needs. Since then Zeki ERP has been a catalyst to our growth and we continue to find ways to utilize the system to streamline our business operations. All of this could not have been possible without the spirit & cooperation of your valuable partnership with our team. We have been using Zeki ERP for the last 6 years. The software is user friendly and well structured for the manufacturing industry. Zeki ERP's ability to constantly adapt to our growth, in conjunction with their excellent customer service, has proven to be vital to the functioning of our everyday business.